A nice place to stay and play! The Restaurant is now open from 8 AM to 8 PM. They cater for breakfast, lunch and dinner and can accommodate groups of up to 75 people for special occasions. After your round, relax and enjoy a cold one with friends in our lounge. 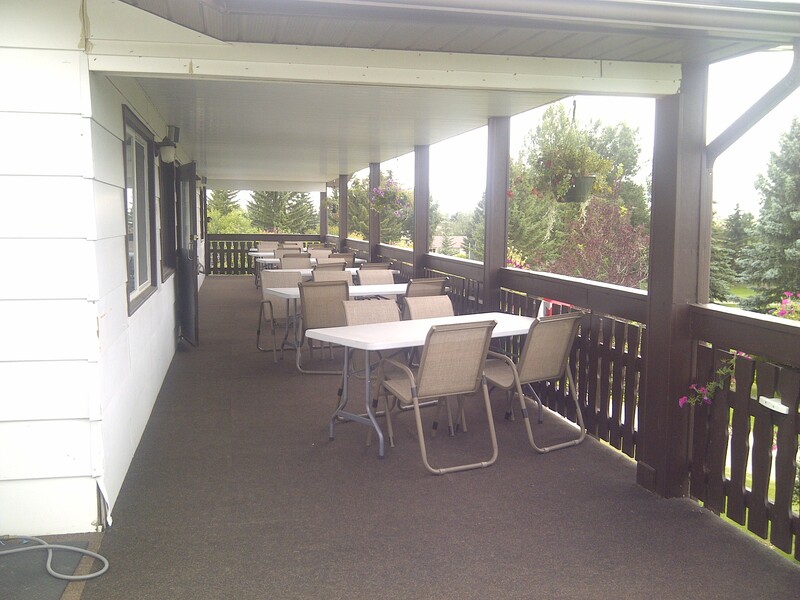 Don’t forget, with spectacular views, we have the only outdoor patio in town. Please call (403) 518 – 1414 for details. Respect other players on the course!